Zhou Xun: Love triangle in Perhaps Love ! Brilliant! That is the early buzzword surrounding Peter Chan Ho Sun’s latest directorial effort Perhaps Love (Ru Guo Ai). So brilliant in fact that the Federation of Motion Film Producers of Hong Kong has voted it as Hong Kong’s entry to the 78th Annual Academy Awards in the best foreign language film category, beating Sammi Cheng’s Everlasting Regret (Chang Hen Ge) and Jackie Chan’s The Myth (Shen Hua) for the honour. Earlier, it was reported on website CRI Online that Chan had declined invitations to five international film festivals. He explained that since Perhaps Love is not an art movie there was no need to attend film festivals to promote it. His sight was instead set on the Oscar race. Perhaps Love has been garnering a lot of attention since its first press screening at the prestigious 62nd Venice Film Festival. For one, it was picked by festival chairman Marco Mueller to close the festival, after having only watched 40 minutes of the then unfinished movie in Beijing. 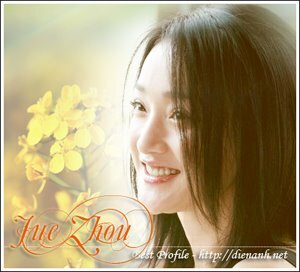 Zhou Xun plays actress Sun Na in the film. When asked why he chose the movie, Mueller put it down to the movie’s unique musical score. But more than that, the Mandarin movie is the first Chinese musical to be produced in four decades and it also boasts of an impressive line-up of Who’s Who from cast to crew. There is director Chan, best known for his critically acclaimed romantic comedy Comrades, Almost A Love Story, producer Andre Morgan (Million Dollar Baby), Oscar-winning cinematographer Peter Pau (Crouching Tiger, Hidden Dragon), scriptwriters Aubrey Lam and Raymond To (one of Hong Kong’s leading playwrights), celebrated art director Yee Chung Man, international kung fu action director Tung Wei, music composers Peter Kam and Leon Ko, renowned Bollywood dance choreographer Farah Khan (according to Chan, Chinese people don’t dance, which is why he turned to Bollywood), Asian heartthrob Takeshi Kaneshiro (House of Flying Daggers), Hong Kong Heavenly King Jacky Cheung, dreamy Chinese actress Zhou Xun (The Little Chinese Seamstress and Suzhou River) and South Korean dreamboat Ji Jin-hee (Jewel in the Palace). The US$10mil (RM38mil) film, which is funded by Astro Shaw and Television Broadcast Limited (TVB), and distributed worldwide by Celestial Pictures, was shot in Beijing and Shanghai. It is filled with fabulous set designs, breathtaking circus performances and mesmerising Broadway-style musical numbers. Perhaps Love is a movie-within-a-movie, featuring a love triangle that parallels the actors’ lives. Switching between contemporary China and the decadent 1930s, the film opens with the story of film student Lin Jian Dong (played by Kaneshiro) who falls for Sun Na (Zhou). Sun, however, valuing her career more, gives up the relationship. Takeshi Kaneshiro in a scene from Perhaps Love. A decade later, Sun becomes a leading movie star with the help of her lover, renowned director Nie Wen (Cheung). Lin has also become a star in his own right. Fate reunites them. They star in a musical about a love triangle, directed by Nie. Ji, portraying a modern Cupid, narrates the story. While the media has branded the lavish musical as China’s version of Chicago, Chan has a different view. In an interview with news agency AFP, he said Perhaps Love is a variation of a love story rather than a musical. And unlike Moulin Rouge and Chicago, the actors only sing when cameras start rolling for the musical Nie is making. Viewers will hear all four leads working their vocal chords in the film. While Zhou and Ji (who sings in Mandarin) are not singers by training, unlike Cheung and Kaneshiro (who sings for the first time in a decade), Chan is not the least bit worried. Perhaps Love will be released in Malaysia on Dec 8.